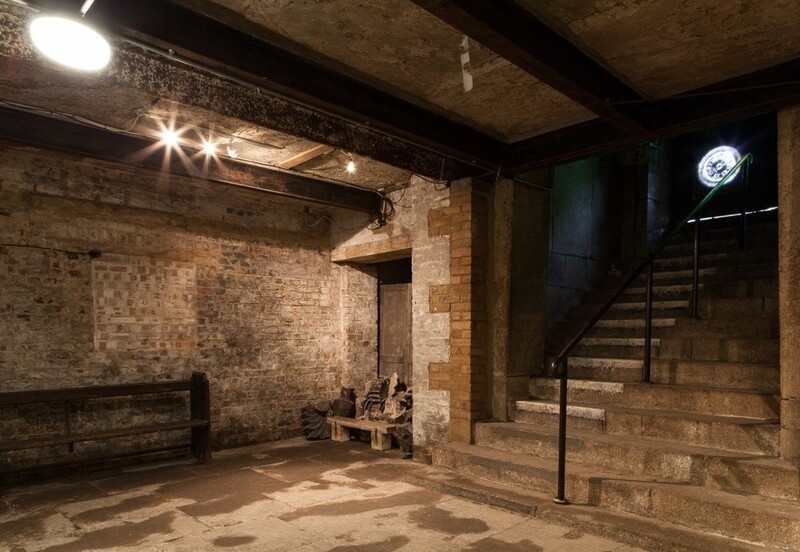 The Crypt Gallery is available for hire throughout the year for exhibitions, events, performances, film and photography shoots. 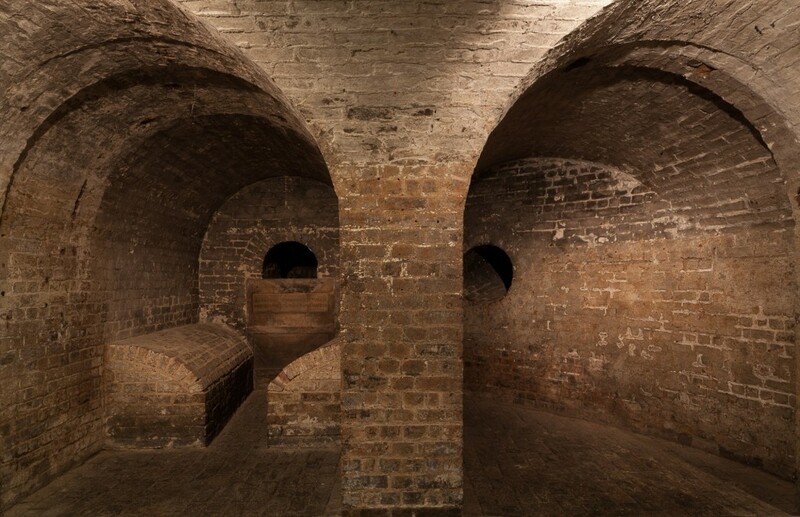 The Crypt Gallery, Euston is one of the most atmospheric and unique galleries in London and hosts a year-round programme of art exhibitions. Its fabulous central London location right opposite Euston Station is perfect for promoting the work of a wide variety of exhibitors, from graduate shows, to established artists. The gallery itself is practically untouched, with many of its original features intact. 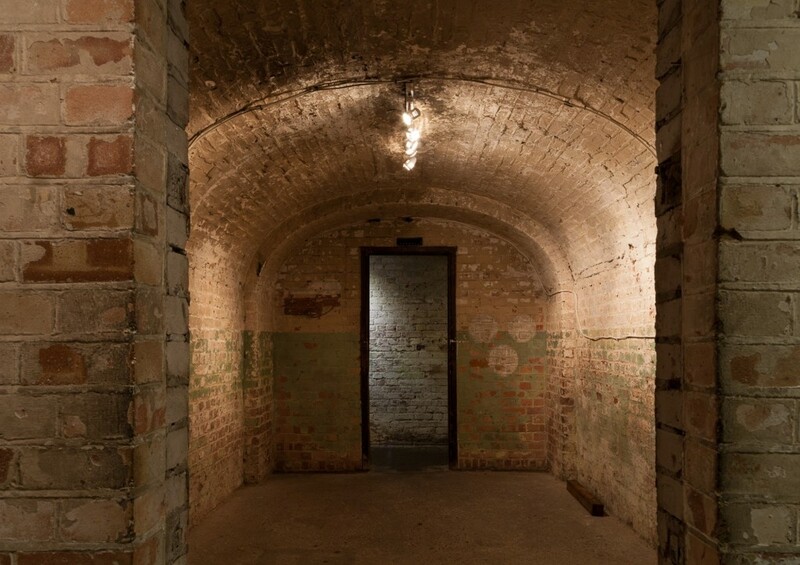 Its intriguing tunnels and secreted spaces are ideal for projection, installation and site specific work as well as providing an intensely atmospheric back drop to more conventional media. Artists hoping to exhibit will need to submit a proposal detailing as much information as possible about their exhibition with images of all works to be exhibited. The gallery is set up for exhibitions, but day time and early evening performances are welcomed. The priority of the gallery is Arts exhibitions and events, but the space is available intermittently for shoots, particularly during off peak times. The gallery was set up as an inclusive space, with no house style or agenda – just a great space open for hire to artists of all backgrounds and disciplines, showing a high standard of professional and interesting work. 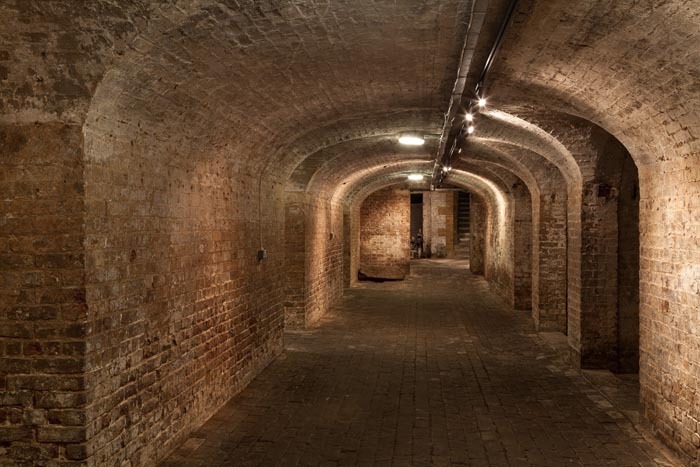 The Crypt is available for hire and currently booking for 2016 with bookings starting in early January. Following initial inquiries, all artists and groups applying will be required to submit a proposal detailing the work of each artist participating, including images of each artists work, with as much information as possible on their ideas and themes for the show. As we have a high volume of submissions, these proposals will go through a selection process to monitor content and standard of work. Should your proposal be accepted, we will contact you with a view to meeting you. Small kitchenette with sink, small fridge with draw ice box, microwave and kettle. The Church and Gallery are a Grade I listed building – therefore exhibitors cannot drill new holes into the wall of the gallery. Exhibitors can however use existing holes to hang work, of which there are many in the walls and ceilings. The gallery does not provide an invigilator – all organisers have to provide an invigilator for exhibitions and events. The gallery does not have a heating system.